I am no longer posting to this blog. If you’d like to keep seeing my cocktails, you can sign up for the Recipes at Sidewalk Shoes and have them delivered to your inbox. This drink sounds delicious and is just lovely! You are amazing with these infused liquors! I am in awe! I need to try this…it sounds so good! I can’t wait to see what you create with it! Oh cool! I’m glad that my drink was a hit last week! Your ginger liqueur looks soooo good! I love anything ginger. I love this so much! I’ve been wanting to make a ginger based infusion for ages (infusing booze is totally a hobby I can get on board with!) so I definitely need to try this soon! Can’t wait to see what cocktails you make with it! Hard to argue with a kitty cat approved recipe! I can think of a lot of possible uses for ginger liqueur, too. Do you mind sharing where you got that gorgeous bottle? It was actually filled with whiskey or bourbon or something like that. I tend to by liquor at the store just because I want the bottle! 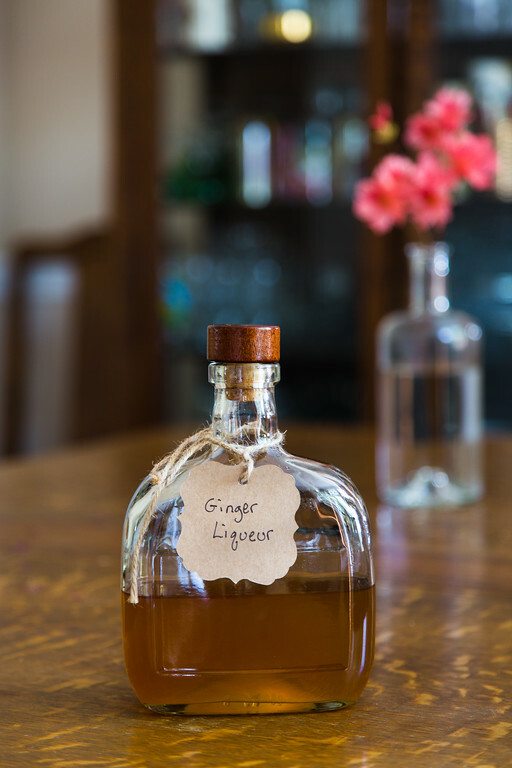 Dry ginger liquer looks very nice, thanks for sharing with Hearth and soul blog hop, pinning. Your ginger liqueur sounds so warming and delicious, Pam! Pinned and stumbled. Thank you so much for sharing it with Hearth and Soul. Hope to see you again this week! Can I leave the liquid in the jars for longer before removing the vanilla pod and straining the liquid. Sure. It’s up to you how long you want it to infuse!